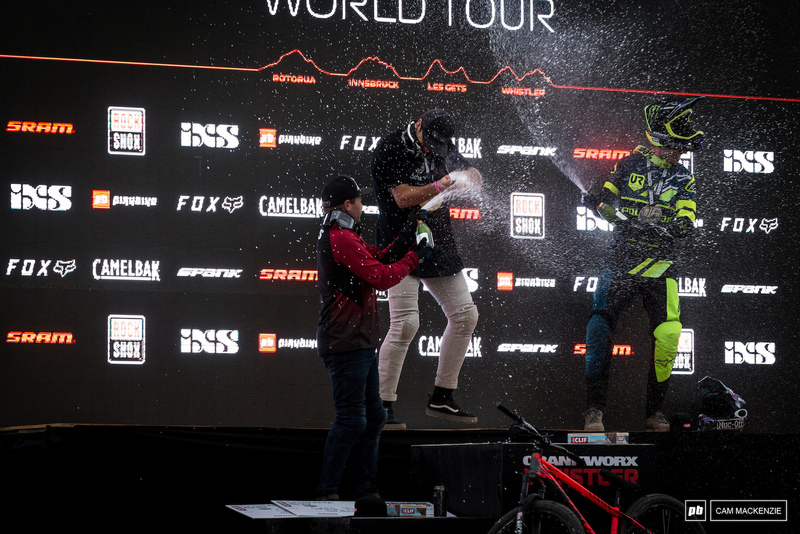 It seems like just yesterday that we were all sitting on the sidelines of a hill in Rotorua, watching the start of the 2018 Crankworx World Tour season. 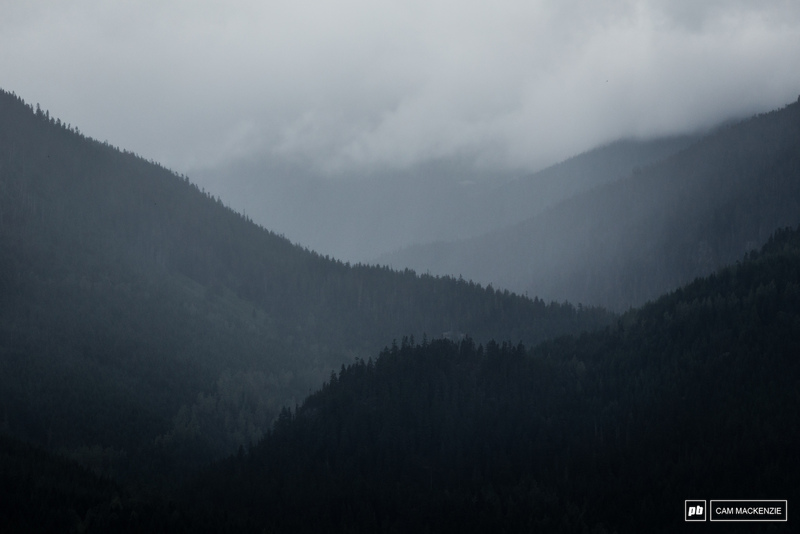 Now here we are, sat on a different hill on the other side of the world, three stops later, at the beginning of the end. 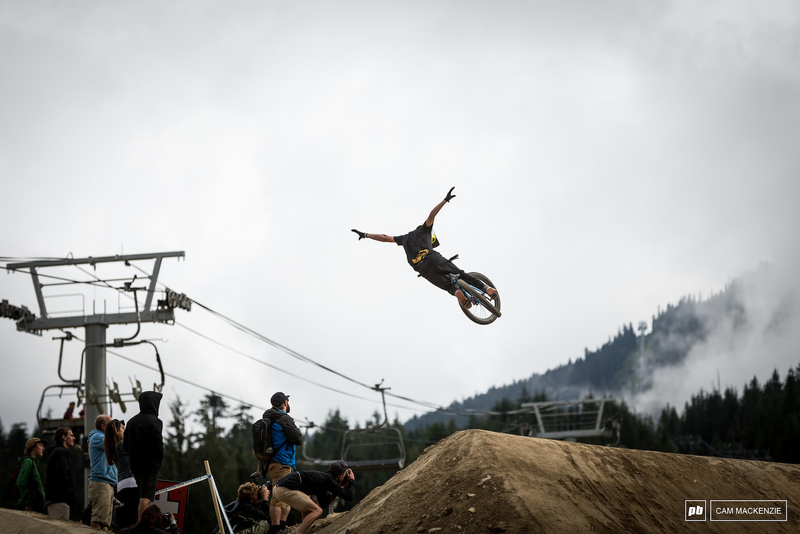 For some, it has been a long 5-month Crankworx season, and for others, this is what they have been working towards all year. 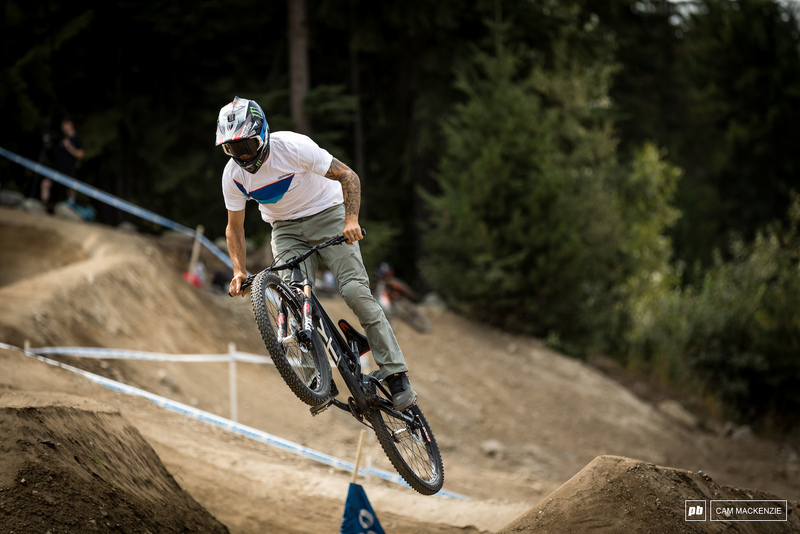 2018 may mark the 15th year of Crankworx Whistler, but up on that hill today it was the age-old battle of veterans vs the newcomers just like years past. 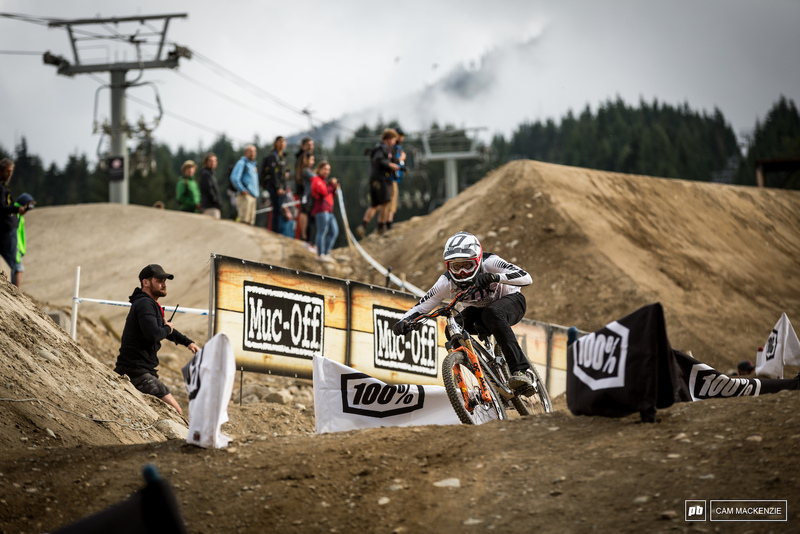 In the Clif Dual Speed & Style presented by Muc-Off tricks that belong on the joyride course were being thrown down, some had to pull out all the stops to stay in contention, while others opted for the always controversial approach of more speed, less style. 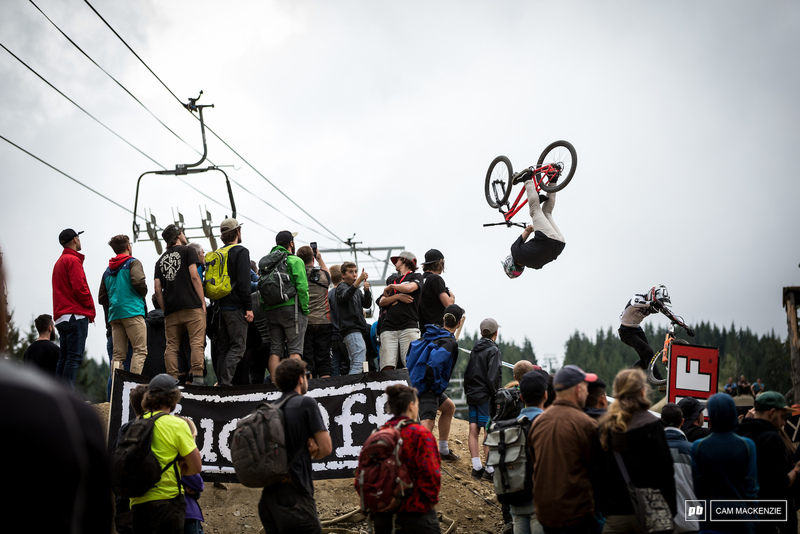 Tom van Steenbergen floating a casual backflip during the early stages of training. 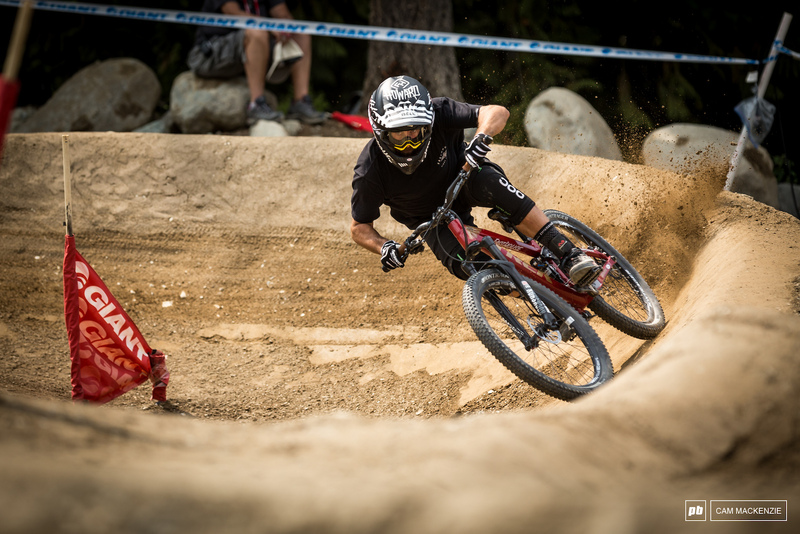 Barry Nobles will be searching for good results this week, but today wasn't to be. 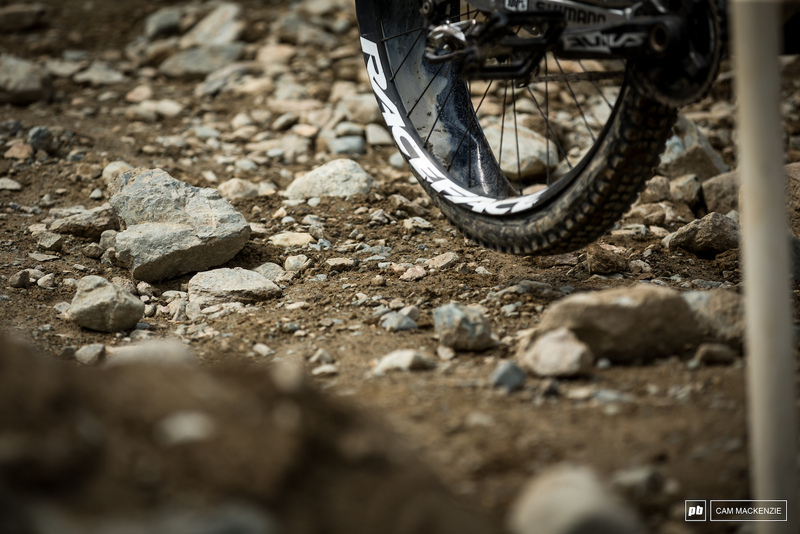 Maybe running tubeless wasn't the best idea for speed and style. 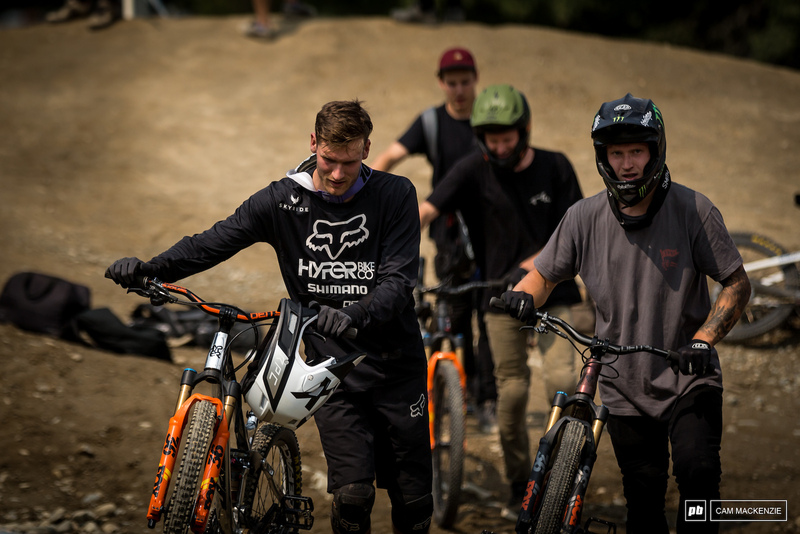 The van Steenbergen brothers trained together, but thankfully didn't have to go head to head. 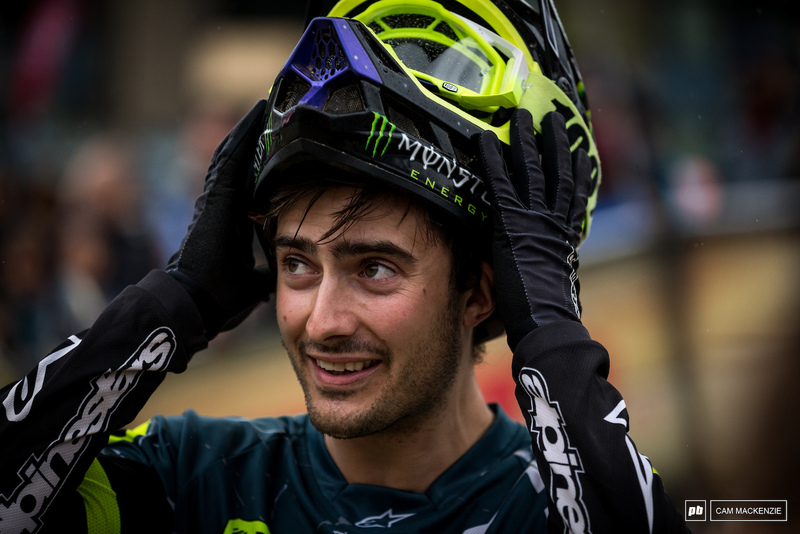 If anyone is the Dual Speed and Style master, it must be this man. 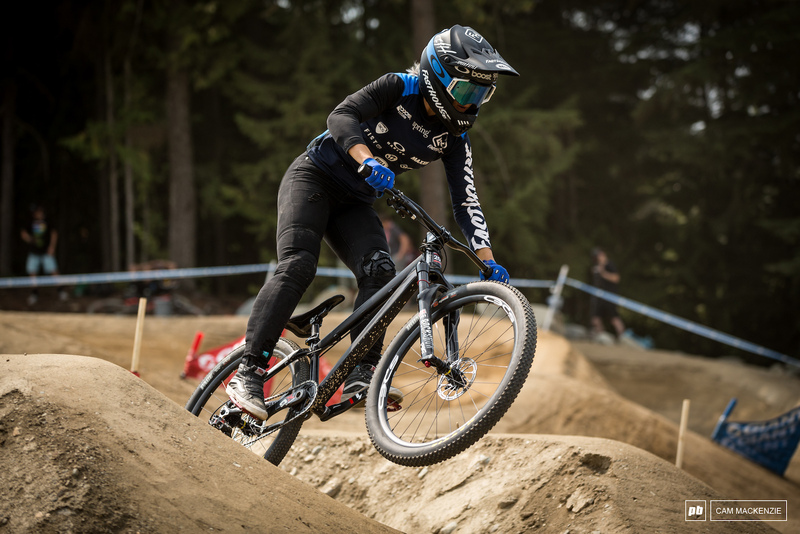 Caroline Buchanan was out training first thing on Friday but had a big old crash that saw her sitting today's race out. 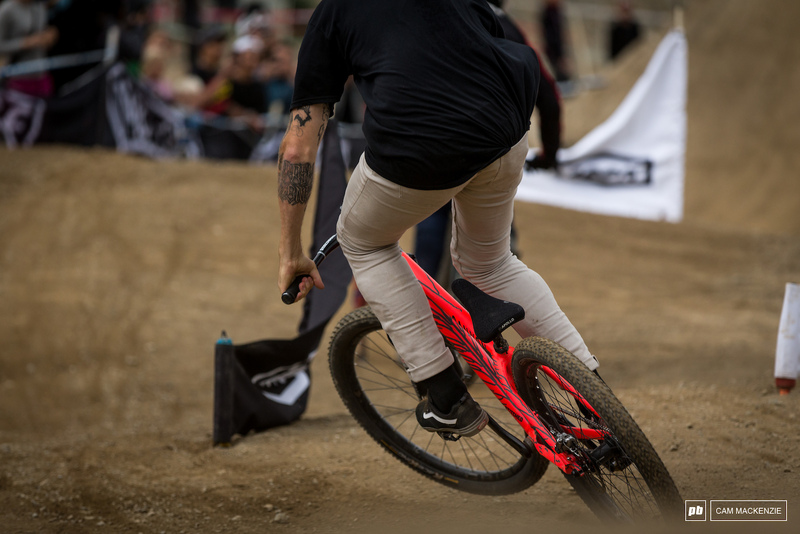 R-Dog 'stylemaster' Howard was steezing his way through practice and abusing turns, but couldn't make a good run happen and got knocked out early in the round of 32. 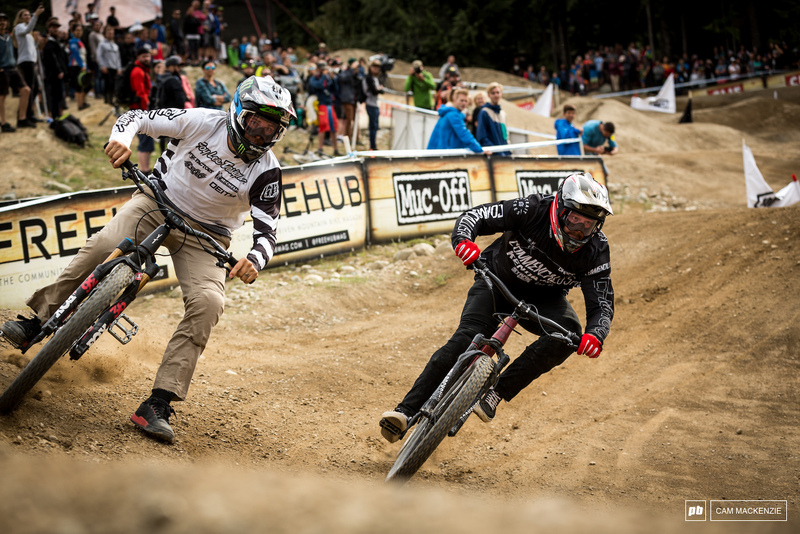 Tom van Steenbergen against Greg Watts. A great match up, but ultimately Watts had what it took. 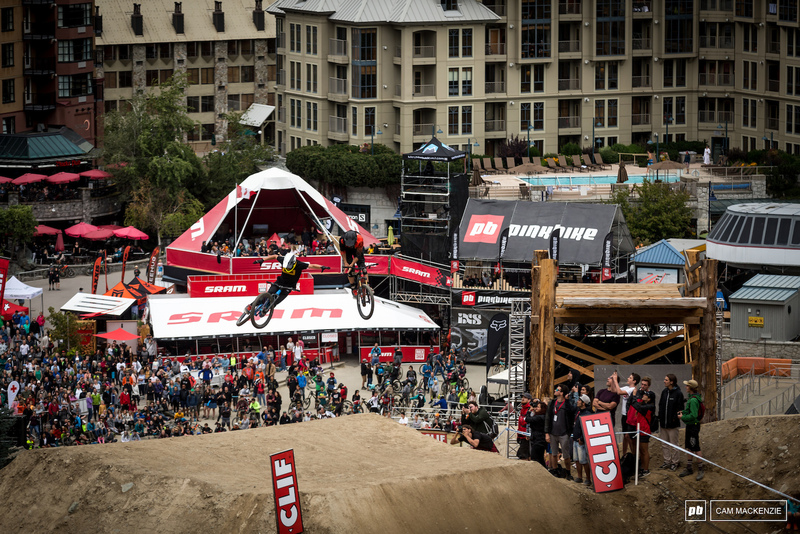 Cam Zink started strong but was no match for the on-form and unstoppable Kyle Strait. 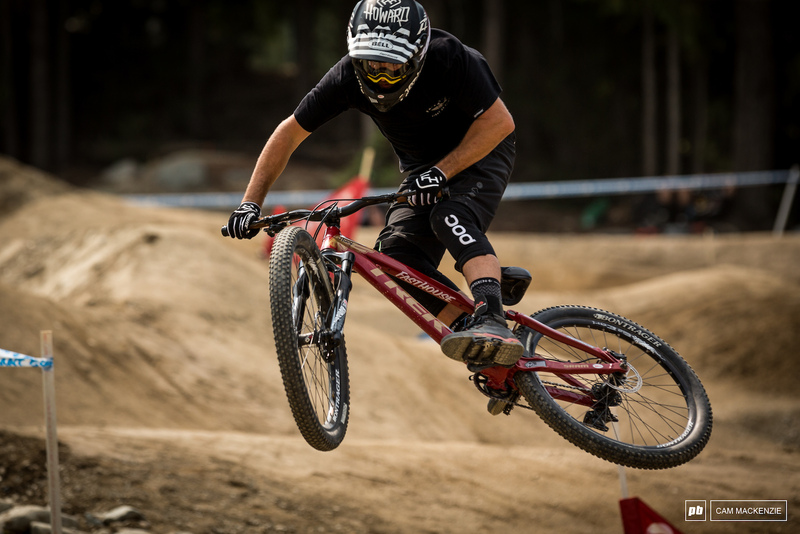 Bas van Steenbergen is one of many S&S experts, and with both the tricks to match the speed. 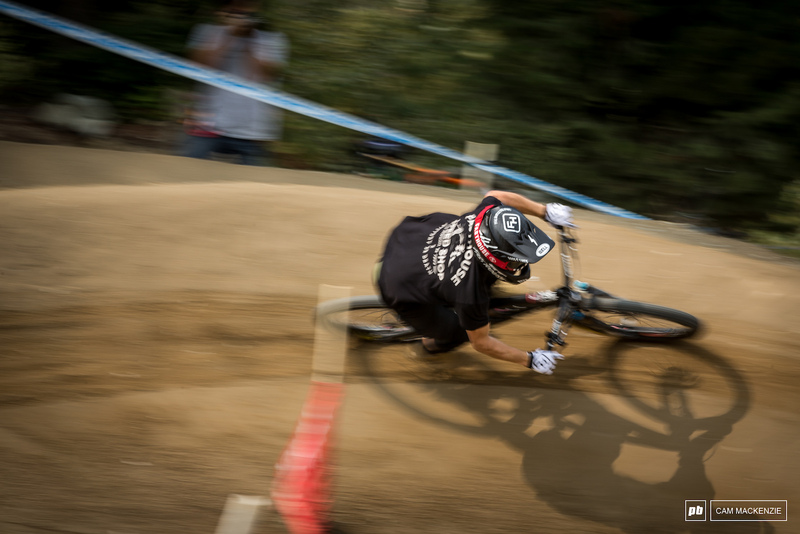 R-Dog ripping turns. The first of many this week. 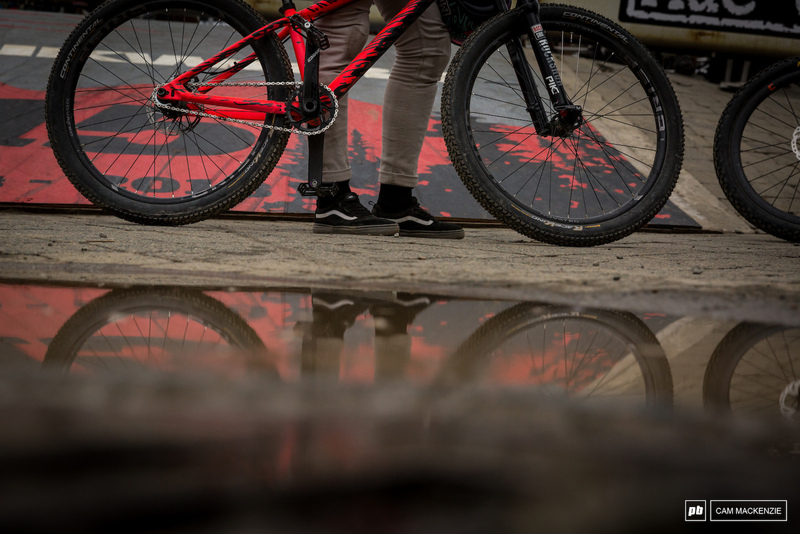 With the weather dampening the mood, the first race of the event saw a lower spectator count than was expected. 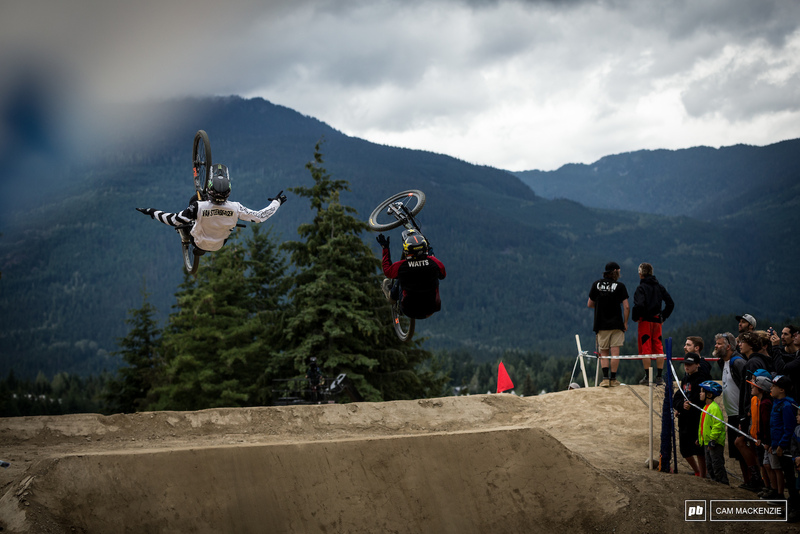 T-mac & Kyle Strait in sync over the first jump. Barry Nobles went down hard today. 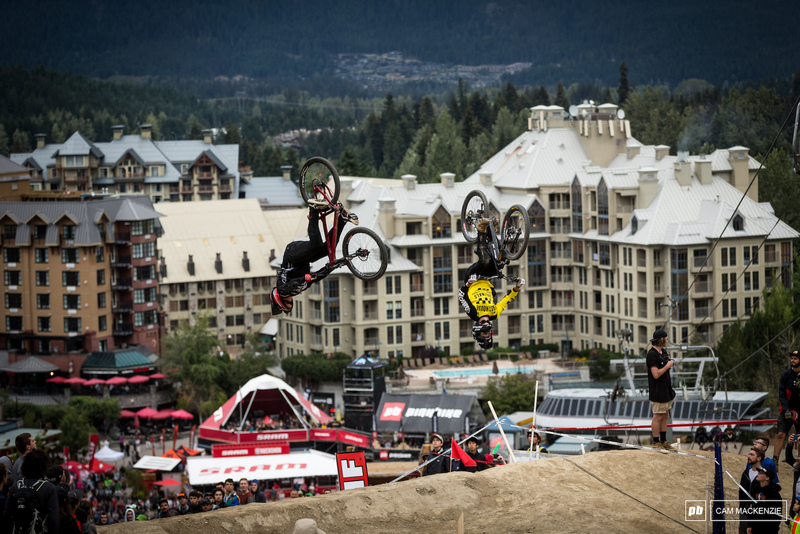 Not just once, but twice, trying the same double backflip on the first jump. Two buds just drifting their way down the course. R-Dog gives 0 f##ks about these corners. 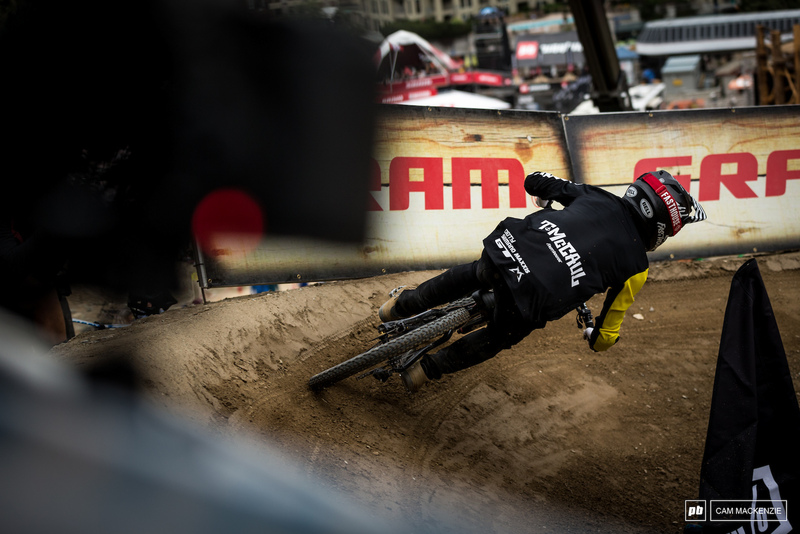 Tyler McCaul went about business as usual, taking down rider after rider until he crashed out against Kyle Strait in the round of 8. 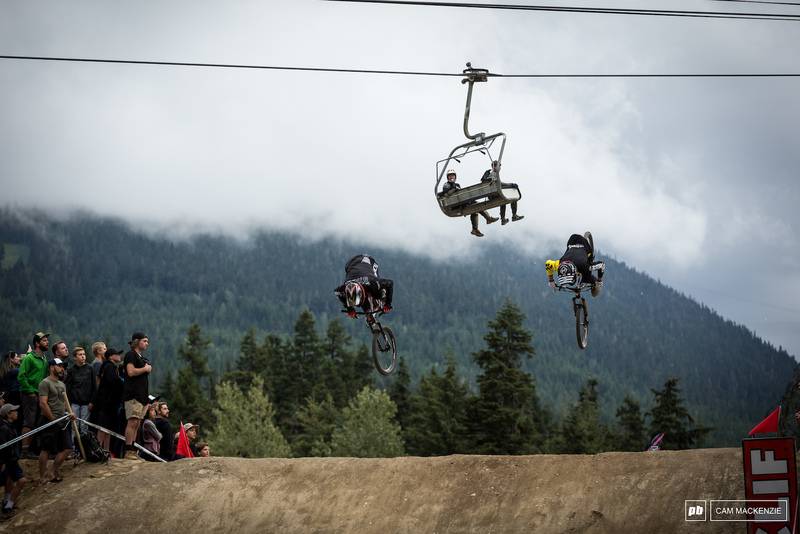 So you can backflip, but is there anything more stylish than a big old nac? 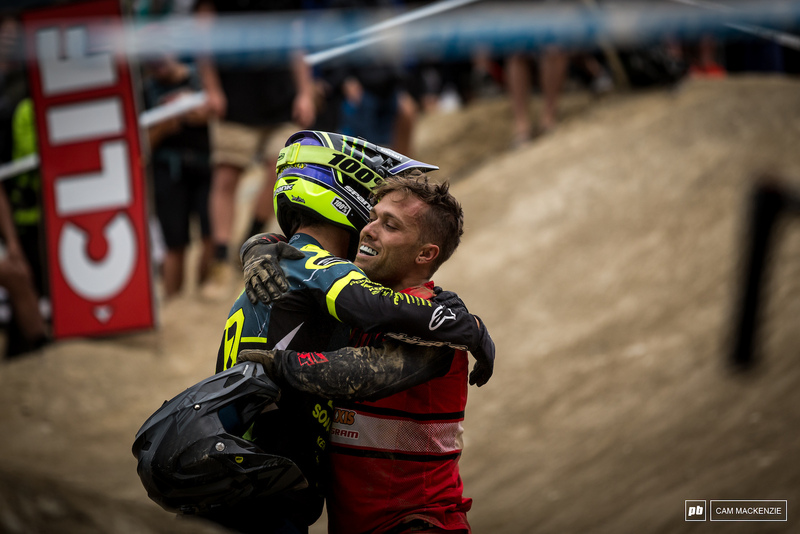 Greg Watts spent the first race of his semifinal chasing Kyle Strait, but would later go on to take 2nd. 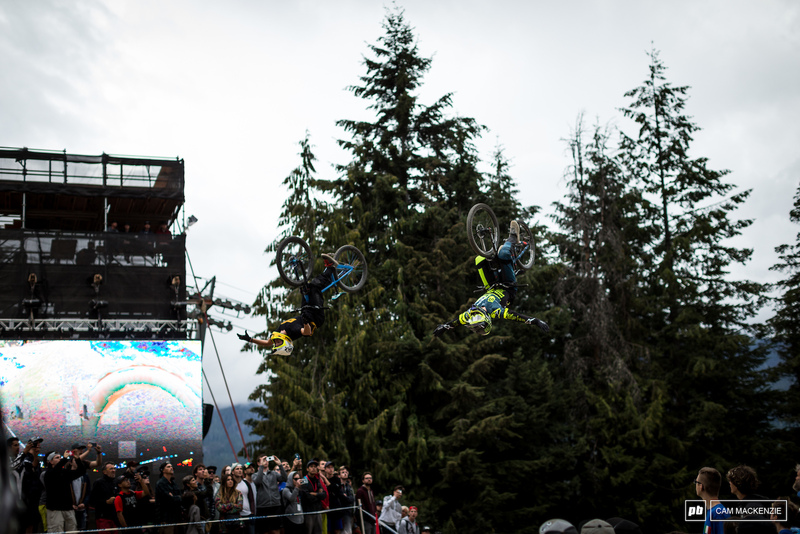 Tomas Lemoine with the backflip barspin over Bas' tailwhip. 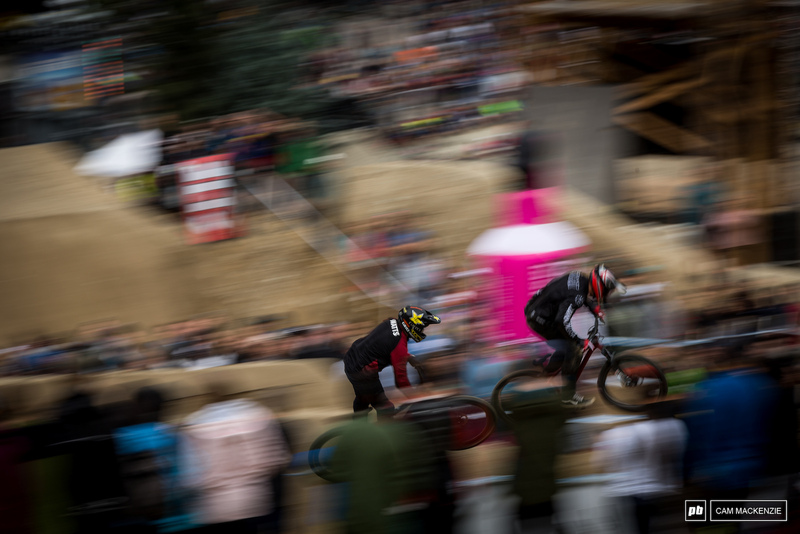 Bas had the speed, but not enough to keep the magician at bay. Praying for no more rain this week! 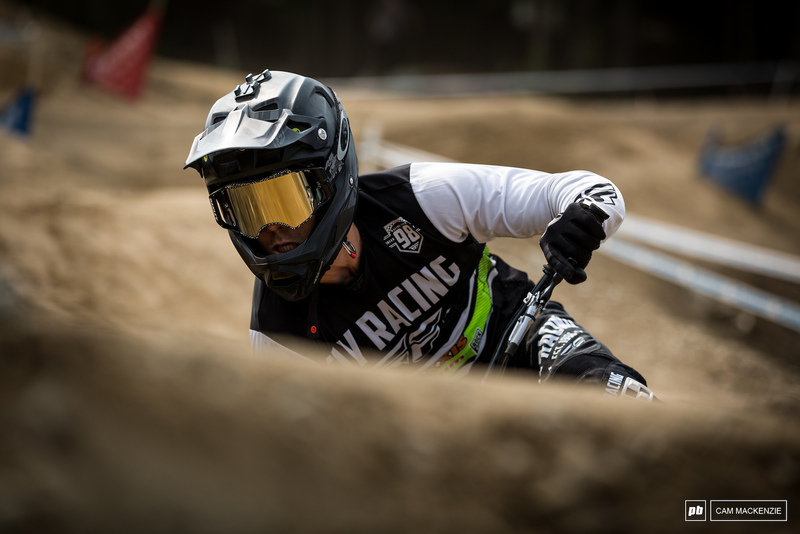 Sam Reynolds rode brilliantly out there today and showed incredible comradery towards his fallen competitors. When the clock was ticking though, he made a few little mistakes and had to settle for a very respectable 3rd place. 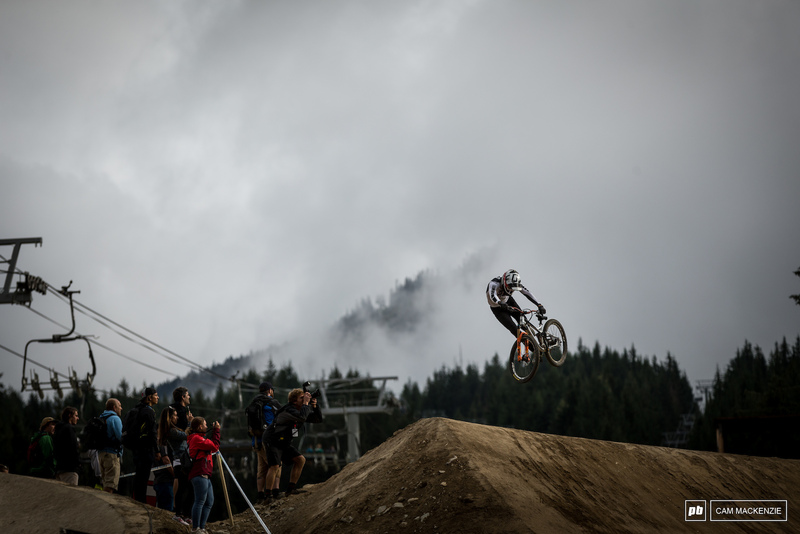 Sam Reynolds is the man! I was hoping for him to come out on top of this one. 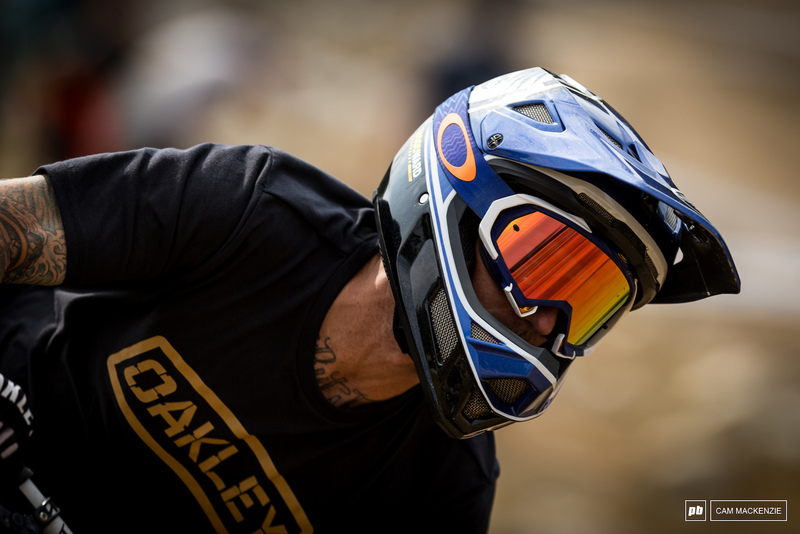 What an interesting event that really tests a freeriders/racers skills. Those flat turns at that speed were taking victims for sure. Barry Nobles learning to flip is great. I'd assumed he'd just go for speed. Nice pics Cam! Must be frothing to be over there!! My huge American nuttsack wouldn't fit into those french skinny jeans.